I’ve been vaguely aware that the numbers of this date, 101010, that is October 10, 2010, held a particular attraction for some. It only happens every 100 years on the Christian calendar. On NPR I heard a broadcast that, among other things, informed that 101010 is binary for the number 42. If you have no idea what I’m talking about you’re in for a treat. The book is, well, fun in a fey sort of way. 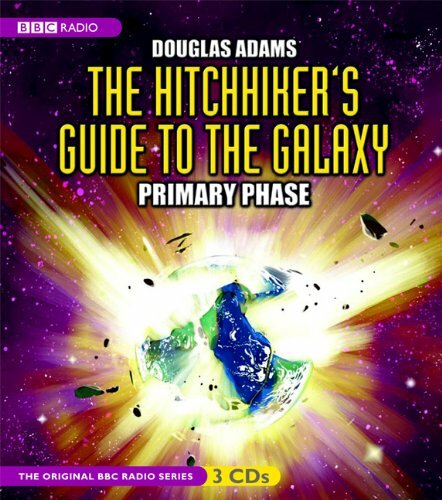 It’s actually titled: Don’t Panic: Douglas Adams & The Hitchhiker’s Guide to the Galaxy and it is worth a read. But its the audio play by the BBC that is spectacular. It’s probably available for free on the ‘net, but I am suspicious of the sources I found. On the other hand, the 3-CD series cost less than twenty-bucks and I can promise you it’s worth every hard-earned dollar. As you’ll listen you’ll learn the real importance of towels, how unnecessary it is to panic at anything and, of course, the answer to love, life, the universe and everything. If that isn’t enough hub pages has several interesting links to the date. One Day On Earth is asking you to take videos of the day and upload them – it’s a worthy, world ’round and fun project. What are you up to on this improbable day? October 11, 2010 is another auspicious day! I never saw The Hitchhiker’s Guide to the Galaxy. I’ll put it on my list. By all means put it on your list, particularly the bbc audio… it’s truly a hoot! What a fun movie that was, too! Loved it. Then again, any movie with Bill Nighy in it appeals. Lori and I are actually twins separated not only at birth, but also age and location.